This book offers a visual non-linear approach to learning art techniques and reinforces a fun & fearless approach to making art. The book is organized in 52 different labs which may, but don't need to be, explored on a weekly basis. 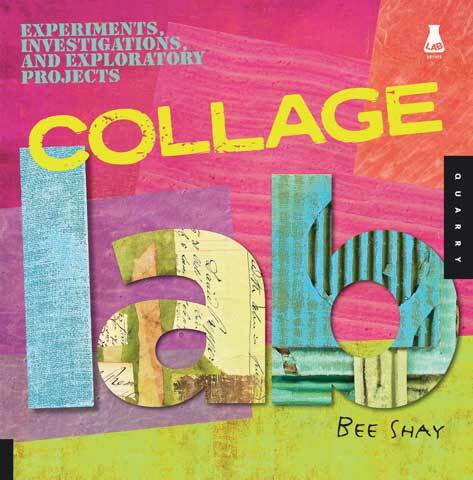 The labs can be worked in any order, so that readers can learn a new mixed-media technique or be inspired by a particular collage theme or application. The underlying message of this book is that artists can and should learn and gain expertise through experimentation and play. There is no right or wrong result for a given exercise, allowing readers to gain skills and confidence in collage techniques and take their work to a new level. The book is illustrated with brilliant full-color images and multiple examples of each exercise.